For those celebrating, Happy Hanukkah! 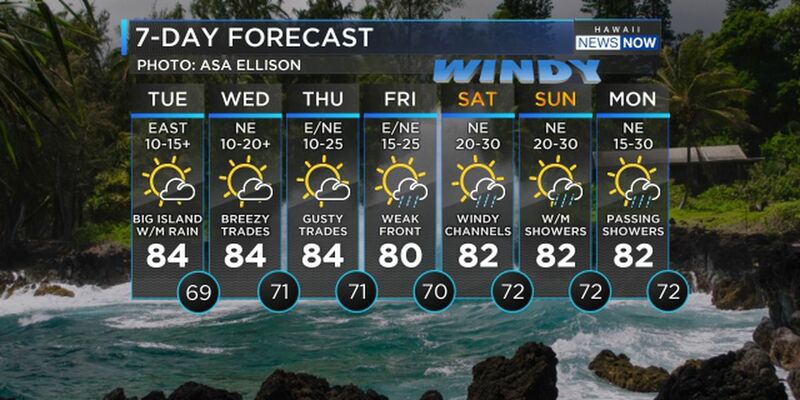 The first week of December is off to a pleasant start with fresh trade winds. The trade winds will dominate our forecast with a strong high pressure fan setting up shop just north of the island chain. 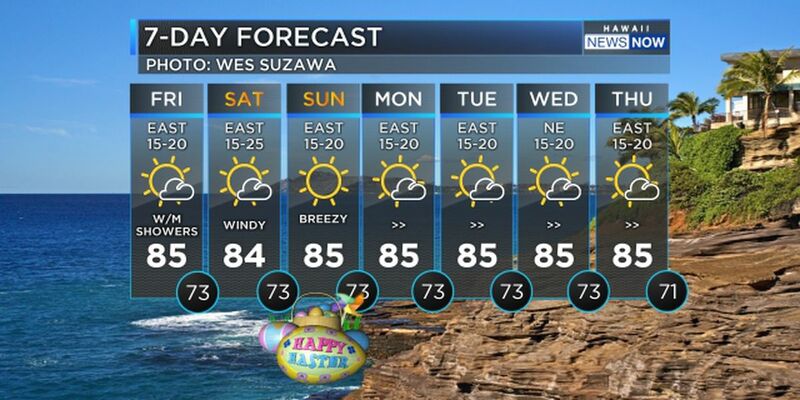 With moisture within our trade wind flow, we will see typical passing showers over windward and mauka neighborhoods. 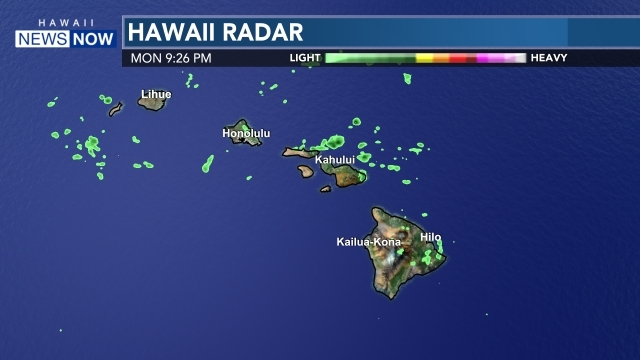 There will be a little bit more moisture concentrated over windward Hawaii Island and windward Maui. And get ready to hold onto those hats! A round of gusty trade winds will arrive Friday into the weekend, after a cold front passes near the state and then an area of high pressure builds in behind it. Winds will pick up in speed ranging from 20 to 30 mph with some passes and channels with stronger gusts in those downsloping spots. And we are tracking another XL NW swell that will arrive Tuesday night into Wednesday morning and peaking on Wednesday. This will easily rise above 18 ft along north-facing shores. A hurricane force low is spinning north of the islands and generating the swell energy, Check in with Ocean Safety and be safe. Have an awesome start to your December! It is beginning to look a lot like Christmas and the holidays!